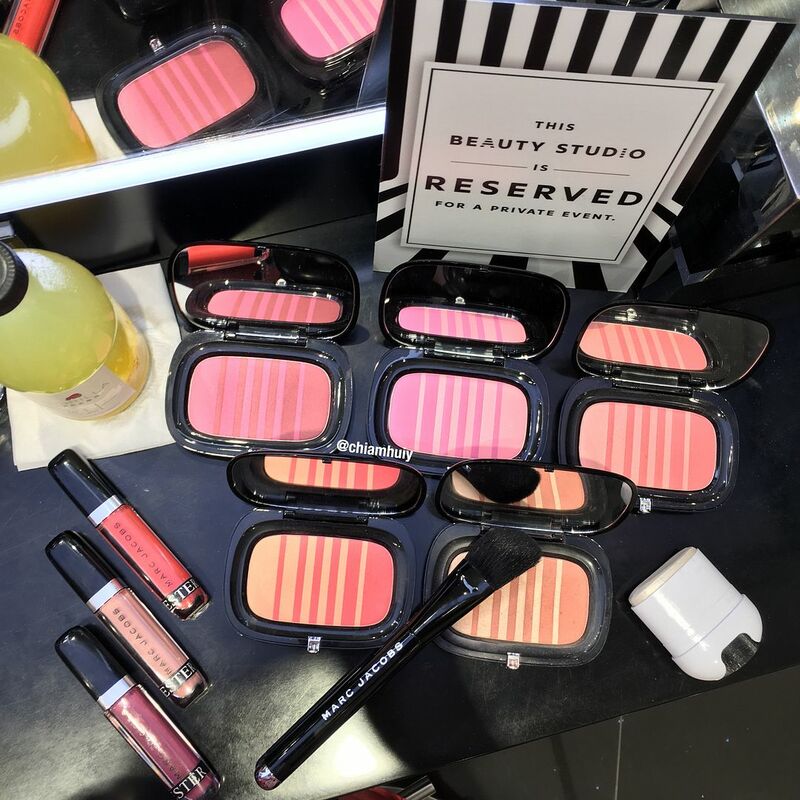 Marc Jacobs Beauty Air Blush is now in Sephora Singapore! The long awaited Marc Jacobs Beauty Air Blush is finally here! When I first saw it, I had to admit I wasn't that intrigued by it at first. 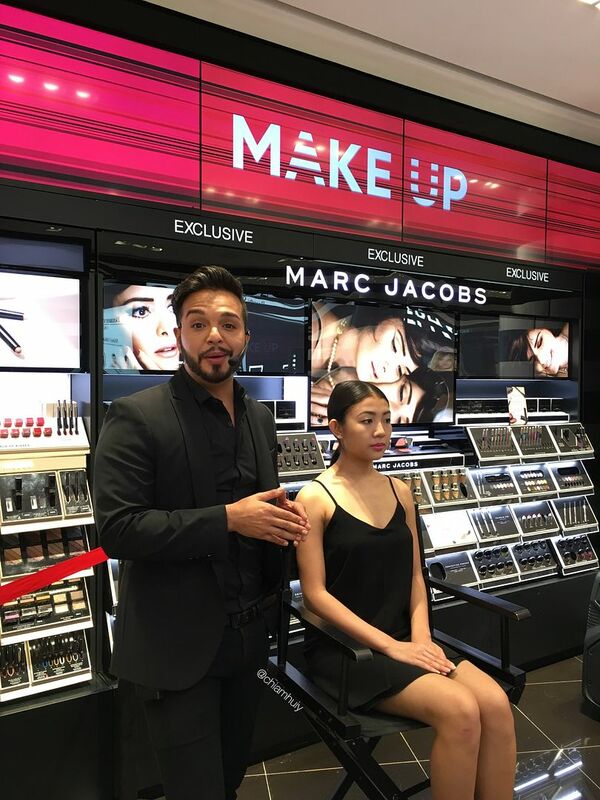 It was until when I saw how Marc Jacobs Beauty's global make up artist, Gilbert Soliz demonstrated on the four different #draping methods to use the blush, I was completely sold. These blushers are incredible. 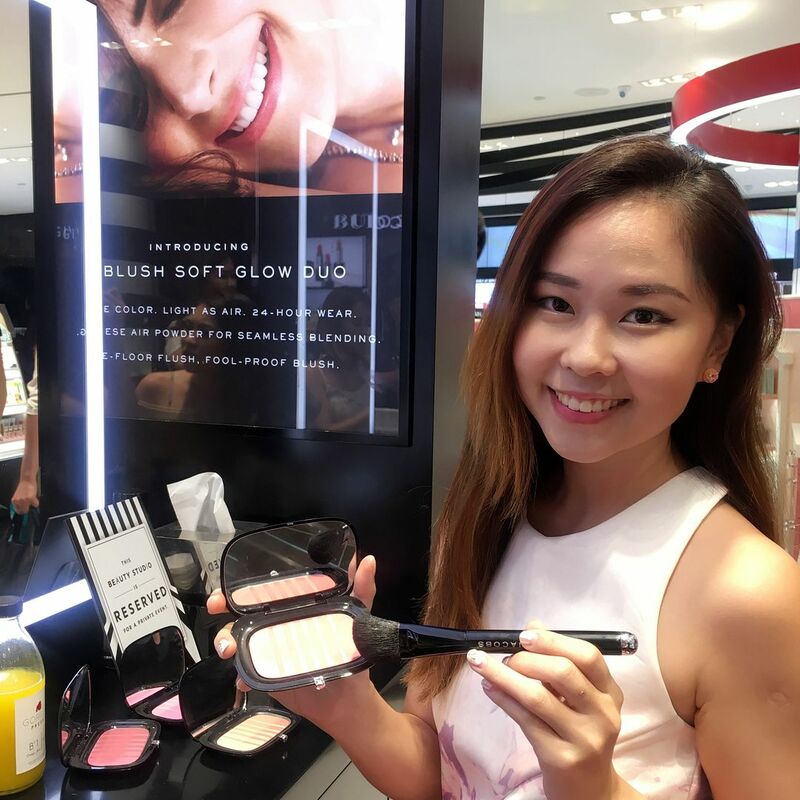 In this post, I'll share with you the four kinds of #draping techniques that makes contouring technique to step aside for now, with the use of newly launched Marc Jacobs Beauty Air Blush in Sephora. 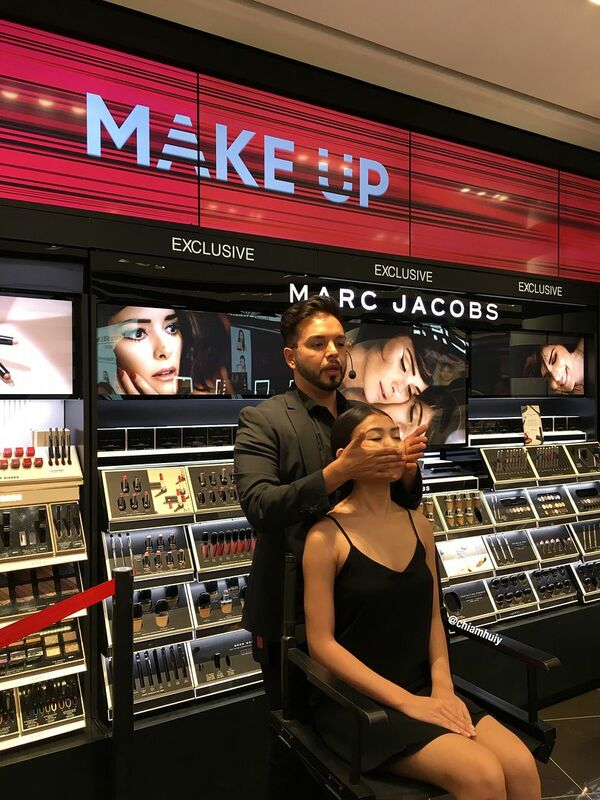 Marc Jacobs Beauty's global make up artist, Gilbert Soliz. He is so charming! 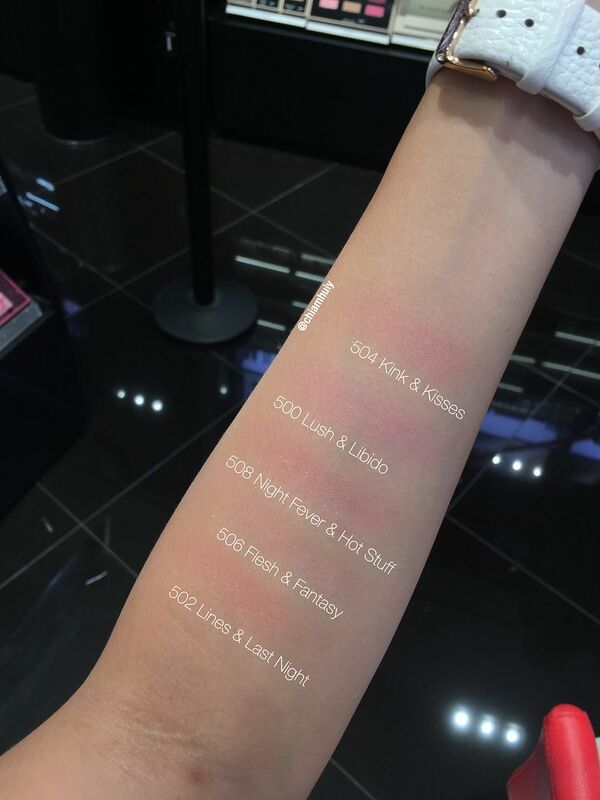 For full swatches on three different kinds of skin tones, Sephora has the swatches perfectly drawn here. The four different kinds of #draping makeup techniques are lift, sculpt, volumize, or balance. Essentially, draping makeup techniques is all about using the concept of 'color glow'. It's about bringing out the highlighted points of your face using colors instead of the usual contouring with a shade darker than your skin. It's recommended to use the Marc Jacobs Beauty The Blush - Angled Blush Brush No. 10, along with these gorgeous Air Blushes. And this, the amazing work by Gilbert Soliz perfectly illustrated one of the ways of draping. Sculpting Glow: to achieve the look, use #AirBlush in the deeper shade of Flesh & Fantasy. Apply it just below the apples of the cheeks, low on the face to counterbalance roundness and create a visual oval. Swirl the lighter shade on top to blend away the edges. Look created by #MarcJacobsBeauty Global Makeup Artist, @gilbert_soliz. To lift, blend the two colours from the Air Blush and apply along the cheekbone, jawline and down to the sides of the neck. The blended blush colour at the high points on the cheekbone is able to give a lifted glow look. 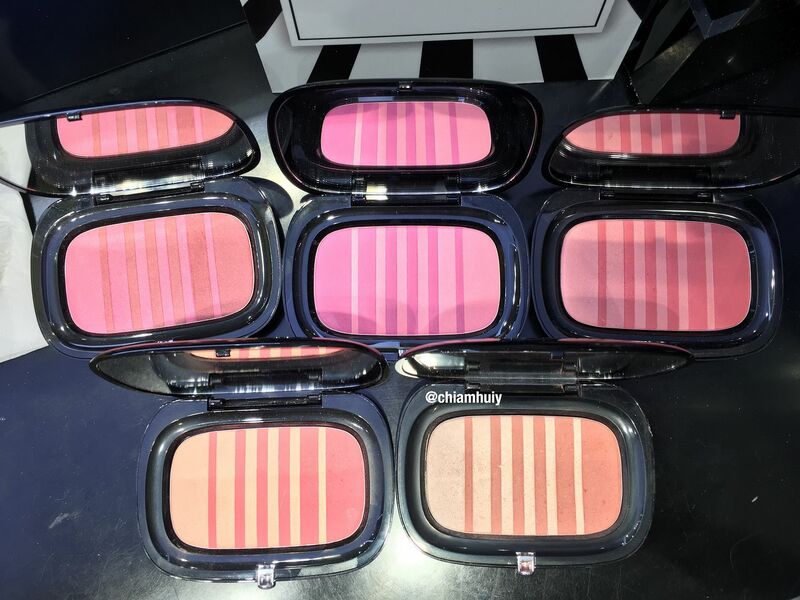 As described in the instagram post above, the two colours from the Air Blush serve to 'contour' undr the cheekbones. Don't forget areas like the peak of the brows to the temples, chin, near the ears and the sides of the neck. Bring focus slightly away from the centre of the face, we want to place the colours strategically on the apples of the cheeks only. 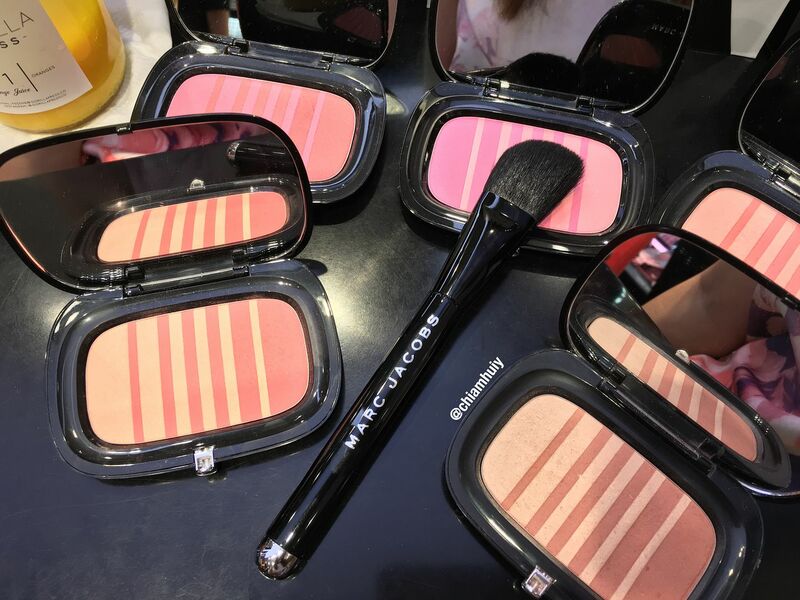 This uses the darker shade on the Air Blush to 'contour'. Apply below the apples of the cheeks, low on the face to counterbalance roundness. Then use the lighter shade to highlight. 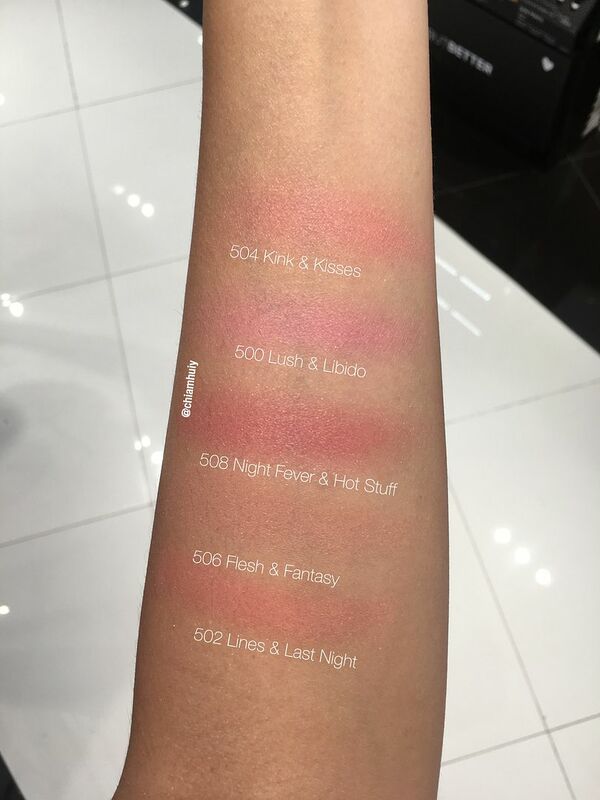 Apparently, 504 Kink & Kisses is the best seller ever since its launch on Sephora! Hopefully the swatches can give you a gauge on which colours to choose. 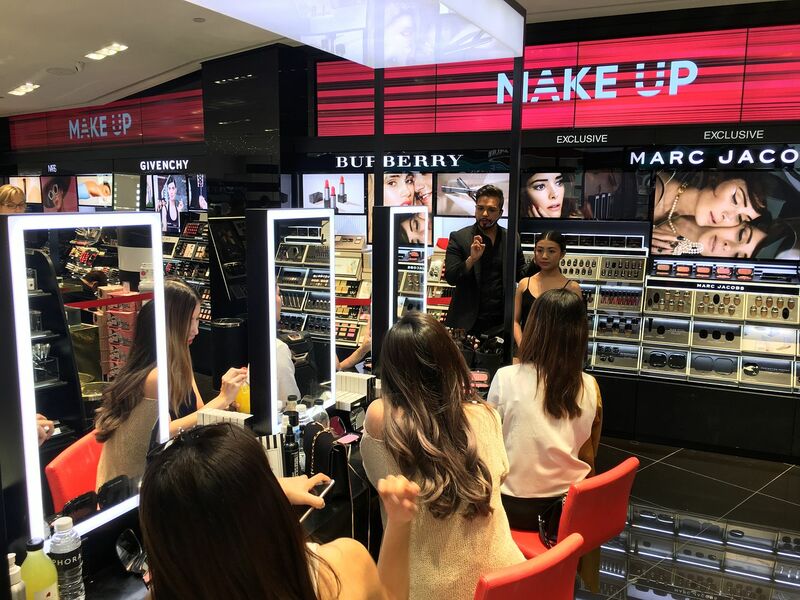 If you don't already know, Sephora Singapore will be having their PRIVATE SALE of 20% off EVERYTHING on their site for Black Card members, from 29th - 2 Oct. 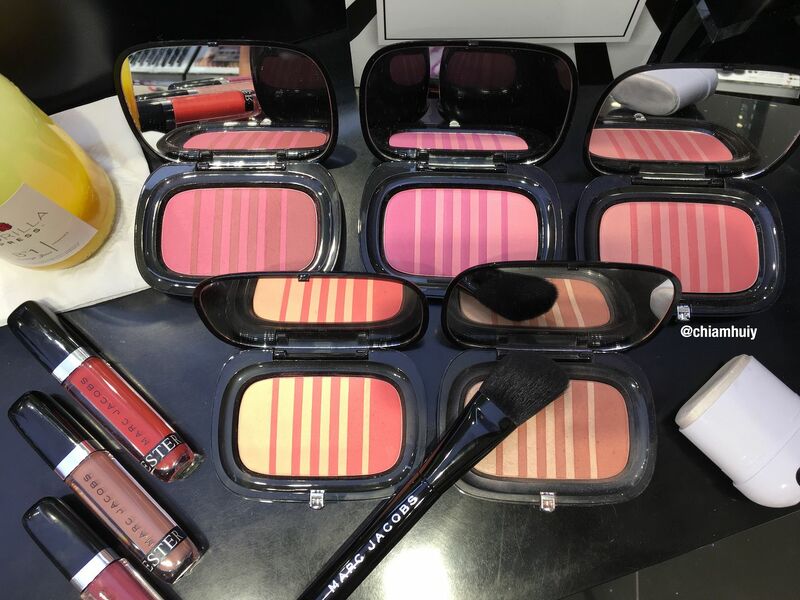 Guess this is the perfect chance to grab one Marc Jacobs Beauty Air Blush to try! ;) I'm gonna get some new cosmetics to play around with, so maybe I'll be updating this space with my new buys soon. 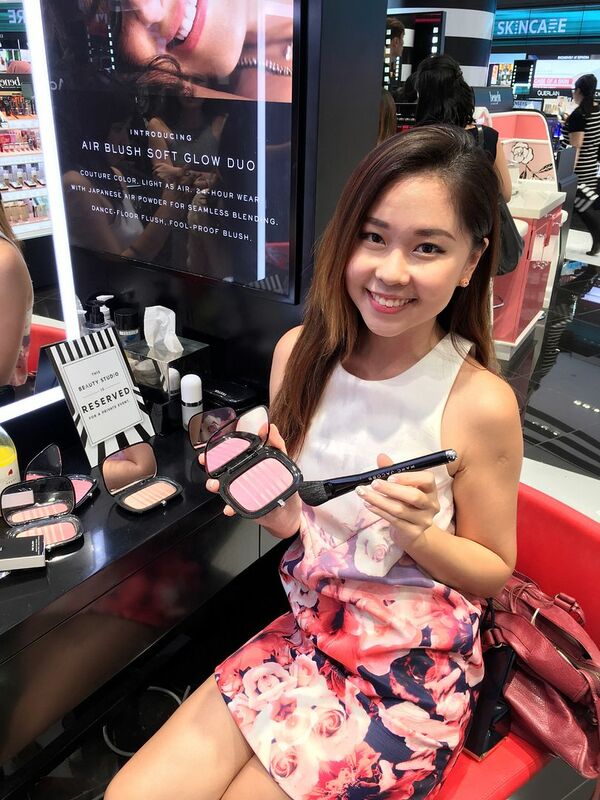 Thank you Sephora Singapore for having us in this Marc Jacobs Beauty Air Blush Masterclass!